When looking at finding the correct golf instructor to help you with your game, there are important factors to consider–especially given the nature of modern golf instruction. The correct instructor can help set the path for success in your game or lead to ongoing frustration and disappointment. Trust me when I say there are MANY great teacher out there, you just need to know what to look for so you can make a good educated decision. Here are 3 factors to consider when finding the correct golf instructor. There are many people in the golf industry who know the game of golf and do nothing but teach/coach. In today’s world, information is abundant from the internet, to the Golf Channel to magazines. 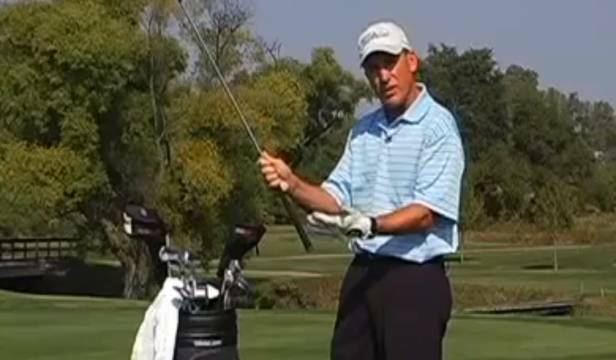 Let’s just say, finding information on the golf swing is not difficult. However, the ability to filter through all this data and determining what works and what is nothing more than the next “fad”, is where a good instructor is worth his or her fee. Golf instructors with years of experience that have worked their graft everyday can quickly filter information and provide a plan for their students that is simple and based in facts. The truth is, the only way a golf instructor can get to this point is through years of hard work and dedication. In the end, if you want sound, solid advice, find an instructor who teaches often and has experience. When given the decision of buying a car, you’re going to go with a company with a history of producing quality cars, right? What about buying a house– you would probably go with a realtor with a strong reputation in the community or a builder who knows the intricacies of home building. Companies with reputations typically have those reputations for a reason. The same rings true with an instructor. If an instructor has great information, great players will seek their advice. An instructor with quality players typically will have information and a process which helps golfers succeed and reach goals. This is precisely why top players seek them out. If you have specific goals set for your game, find an instructor who has developed a process and plan for his players. Remember, good coaching is not about giving a lesson, it’s about having a process in place that provides the environment for long term improvement! Committing to improving is about committing to a process. There is no question that the more I learn as a golf coach, the more I realize how much more learning is to be done. Great coaches, great teachers and great leaders, instinctively know they can always improve. In essence, this is what make them great; the constant desire to improve. Let me give you a little insight into the world of golf instructors. I have attended numerous teaching seminars over my 20 years in the business and one thing has been consistent; the room is always full with the best teachers in the game. Why? Because the best know there is always more to learn and their desire to master their craft keeps them pushing the limits of knowledge and personal growth. You want to find a great golf instructor? Look for someone who has as much passion for improving their craft of teaching as you do for improving your graft of playing the game. As I mentioned above, there are MANY great teachers in the game. Take the time to look around and find one that will provide you with the resources to be successful. Best of luck!